The Four Points by Sheraton, 4055 Palos Verdes Street, is ideal for both business and pleasure-seeking customers, combining good facilities with an excellent location. 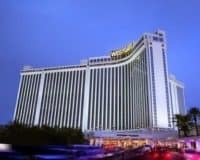 The Four Points by Sheraton Las Vegas East Flamingo, is a luxury Vegas hotel, located in Paradise, and around a mile and a half from the world-famous Las Vegas Strip. This makes it ideal for people who want the Vegas experience, while remaining isolated from the chaos that is associated with the entertainment capital of the world. 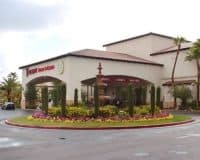 The hotel offers a fantastic range of amenities including a heated roof-top pool, where guests can relax with a drink and enjoy spectacular panoramas of the wonders of the Vegas skyline. This combines with JP’s Bar and Grill, which offers tasty meals and drinks at reasonable prices. The hotel also contains a twenty-four-hour fitness center, an outdoor hot tub, and a modern business center, where guests can have meetings or get some work done before a great night on the town. The accommodation is luxurious and modern with every room offering free access to WIFI and a 42-inch flat-screen TV with the full gambit of cable channels. They are well furnished coming with a safe deposit box, ergonomic workspace, and tea and coffee making facilities. 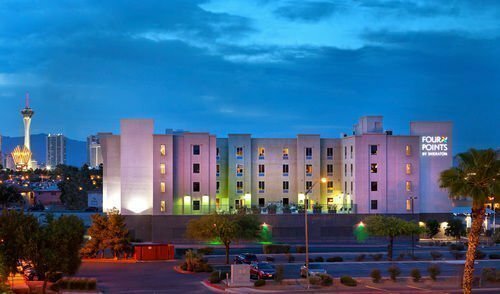 The Four Points by Sheraton, is ideal for both business and pleasure-seeking customers, combining good facilities with an excellent location, to ensure that you get the most out of your Vegas stay, whatever the reason for it. The roof-top pool is especially good and the view of the Vegas skyline is certainly not to be missed. Within 2 mi (3 km) of National Atomic Testing Museum, University of Nevada-Las Vegas, and Las Vegas Convention Center. Within 2 mi (3 km) of theThomas and Mack Center and Fashion Show Mall.